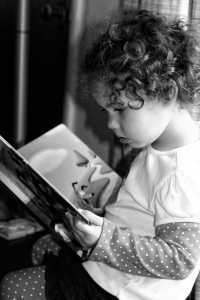 Response: The reading practices of mothers and fathers was assessed in 405 families in Melbourne when children were 2, and child had their language and literacy skills assessed when they were 4 years old. Response: An estimated 250 million children in low- and middle-income countries do not reach their developmental potential due to poverty. Many programs in the US, such as Reach Out and Read and Video Interaction Project, have shown success in reducing poverty-related disparities in early child development by promoting parent-child interactions in cognitively stimulating activities such as shared bookreading. This randomized study sought to determine whether a program focused on supporting parent-child shared bookreading would result in enhanced child development among 2- to 4-year-old children in a low-resource region in northern Brazil. Families in the program could borrow children’s books on a weekly basis and could participate in monthly parent workshops focused on reading aloud. Findings showed that participating families exhibited higher quantity and quality of shared reading interactions than families in a control group, and children showed higher vocabularies, working memory, and IQ. Response: Developmental dyslexia, a specific reading disability, has a strong genetic basis: The risk of having developmental dyslexia at school age is eight times higher than usual if either of the parents has reading difficulty. It has been known that dyslexia and also family risk for dyslexia are strongly associated with a speech perception deficit, but the underlying mechanism of how the impaired speech processing leads to reading difficulties has been unclear.